YETI Coolers | Hot Tubs in Maryland, D.C. and Virginia from Hot Tubs, Inc. In 2006, Roy & Ryan Seiders a simple mission – build the cooler they’d use every day if it existed. They wanted a cooler built for the serious outdoor enthusiast rather than for the mass-discount retailers, one that could take abuse in the field and on the water and one that simply wouldn’t break. They created the YETI cooler. The YETI cooler is the cooler of choice for outdoor enthusiasts, pros, tailgaters, and backyard barbecue kings. 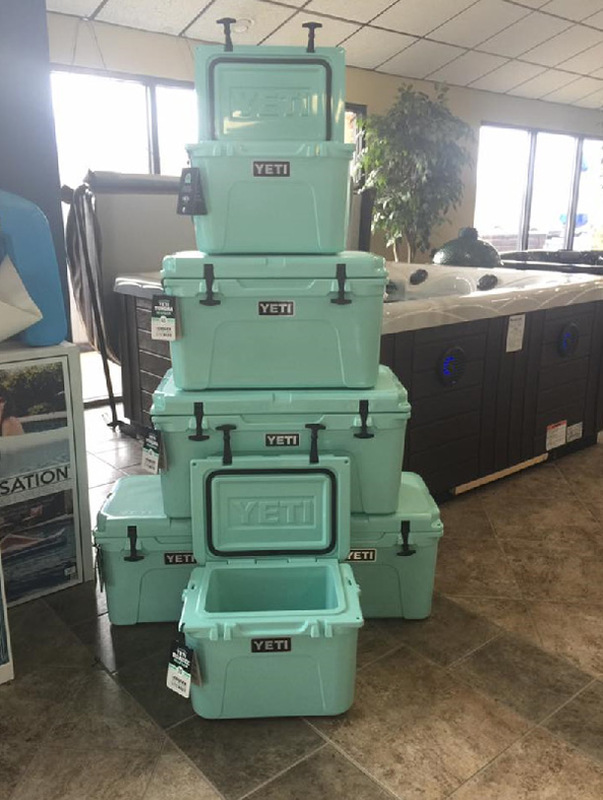 Available in multiple shapes & sizes, there is a YETI cooler to fit any situation.